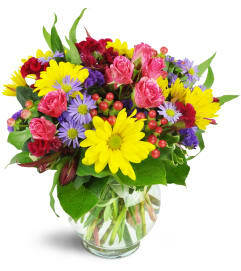 This classic arrangement is sure to please the most particular personality. 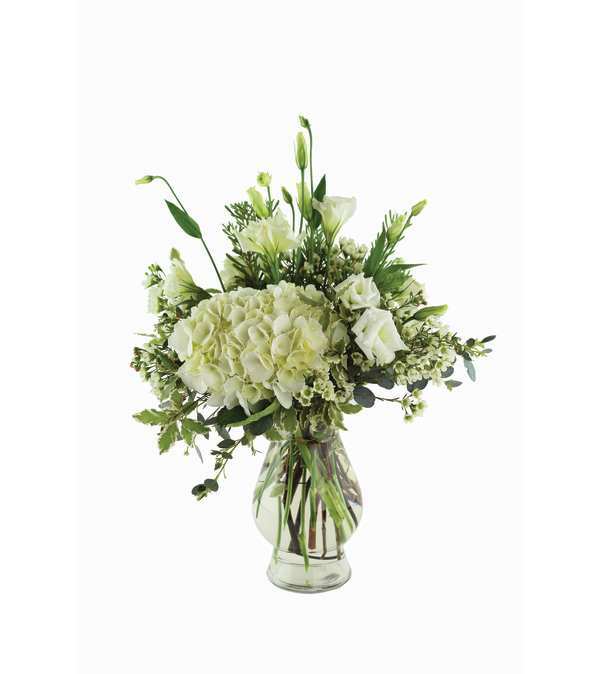 Lush and full Hydrangeas complement the other white flowers to create this sophisticated bouquet. 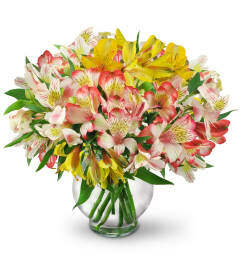 Arranged in the elegant vase, this floral piece is a complement to any home, office or any event!